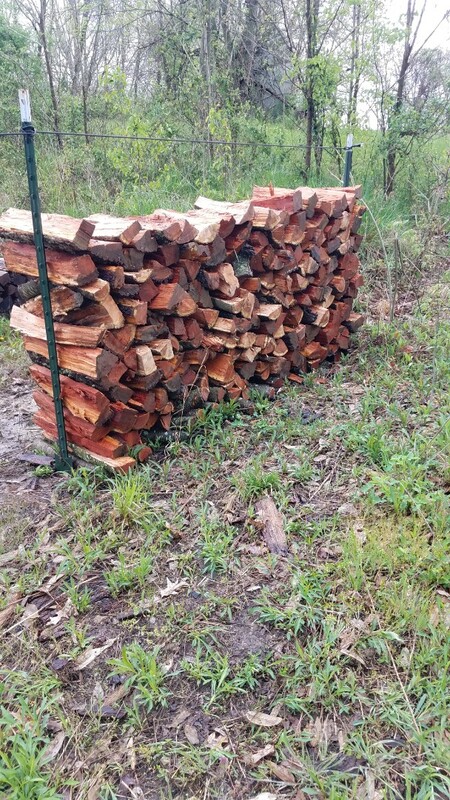 I have cut a large cherry tree down and split it for firewood however I was wondering if it would be worth more to people that smoke meat? The answer is yes. Price will depend upon your location. Cherry wood has a sweet, perfume like aroma and is great on chicken and pork but also works well with beef.. Use caution though as a little bit goes a long ways in color of the meat. The right amount will give you a beautiful, mahogany color. A little too much will turn your meat dark. My experience with cherry is that it dries faster than most other woods and burns fast.